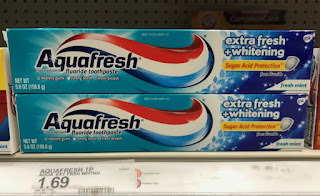 This week you can score Aquafresh Toothpaste for just $0.44 at Target! Grab the new $0.75 rebate offer located in your Ibotta app. This particular rebate offer can be redeemed up to two times. However, the manufacturer coupon has a limit of one coupon per shopping trip.